Have you ever been part of a project team that was under tremendous pressure, and ended up launching into construction too early? The Construction Industry Institute (CII) has been focusing research efforts to address this industry challenge. Premature starts to construction are detrimental to project health and can lead to cost overruns, out-of-sequence work and poor productivity. 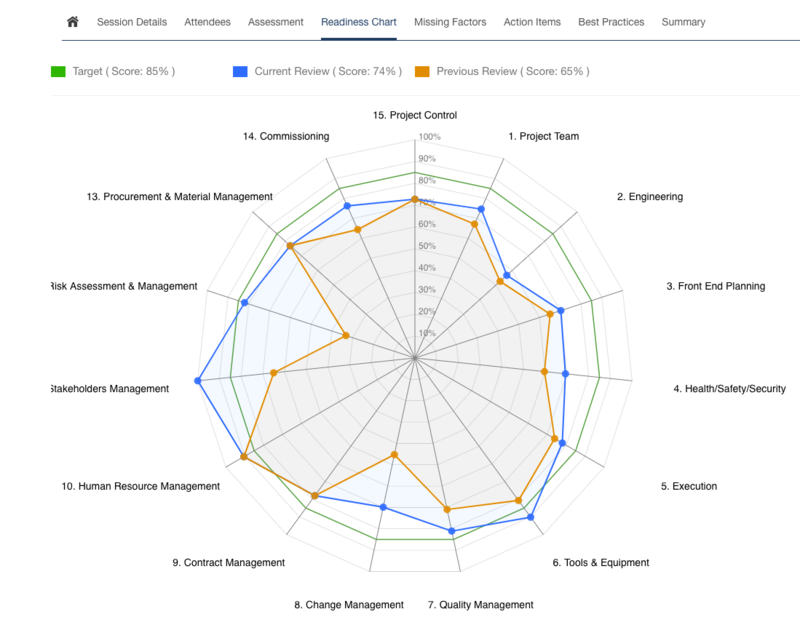 So how do you determine if your project is Construction-Ready? CII’s innovative Construction Readiness Assessment, published earlier this year, is an ideal methodology to assist your project teams in improving construction readiness and ensuring a productive start of construction. What is the Construction Readiness Assessment? 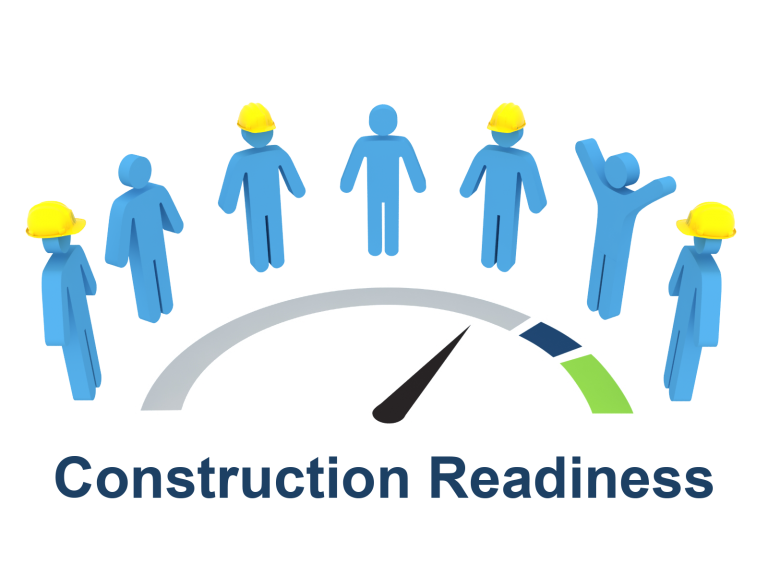 The Construction Readiness Assessment is a methodology for monitoring project health, preventing premature construction starts, and avoiding out-of-sequence work. Construction readiness means addressing activities and procedures that should be completed prior to construction to productively start and sustain construction operations. Leading indicators of construction readiness are reviewed by the project team to identify areas where action is required for the project to achieve the desired level of readiness and ensure a productive start to construction. Why is Construction Readiness Critical? The desire to start projects early often leads to premature construction starts, which have tremendous impact on project performance. A 2016 study by the Construction Industry Institute (CII) looking at premature construction starts helped the industry quantify the severity and commonality of the most common impacts. Cost overruns, schedule slippage, overtime and unplanned work, out-of-sequence work, rework, and poor productivity are among the most common and significant impacts projects face when they are not ready to start. The Construction Readiness Assessment includes 228 factors that are divided into 15 categories. Each category has several related factors, with the factors being the lowest level at which construction readiness is assessed. A score is assigned based on the assessment of factors. The premise of the construction readiness assessment is that if an insufficient number of factors have been completed, poor construction productivity will follow. Have (issued-for-construction) IFC drawings been issued to the point that supports construction activity? Is the schedule for design deliverables compatible with the sequence of construction? The assessment is led by a neutral facilitator who guides the project team through all of the factors. The facilitator captures the team’s response on whether each factor is present, not present, or not applicable to the project. 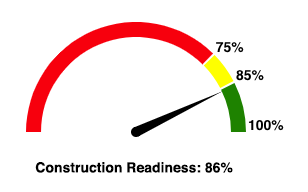 At the end of the session, an overall construction readiness score is produced. The assessment of all factors will clearly identify any categories that need improvement. The team reviews low scoring categories and missing factors to take action items that will address the gaps or deliverables required. If the project has not reached the desired construction readiness level, the assessment should be repeated after sufficient time to address the action items. In subsequent sessions, normally led by the project manager, the team focuses on the missing factors from the previous session. Through this iterative process, the team will ensure critical gaps are addressed and that they are construction-ready. A project’s Construction Readiness Score is a single unified metric that is expressed as a percentage. It is the sum of all readiness factor weights and provides a standardized measure of construction readiness. Depending on the score, a project is considered to be “not ready”, “borderline”, or “ready”. This standardized scoring can be used to track construction readiness progress over time, or to monitor and compare the readiness of projects across a portfolio of projects or program. 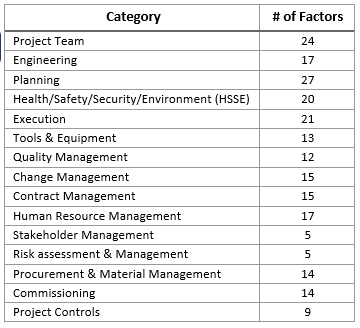 For any low scoring categories, as shown in the Readiness Chart below, the project team is provided with recommended best practices from CII to help address the gaps. If your organization could benefit from a more structured construction readiness process, you can learn more by downloading our white paper – Introduction to the Construction Readiness Assessment. Valency is a CII Registered Provider with advisors to provide support in implementation and training for the Construction Readiness Assessment. Stay tuned for future posts on implementation strategies for the Construction Readiness Assessment. Managing Director at Valency Inc.
Sandra is the Managing Director for Valency Inc., an implementer of best practices from the Construction Industry Institute (CII) that dramatically improve capital project performance. She is a Certified PDRI Facilitator, Registered Education Provider (REP) with the Construction Industry Institute (CII), a Project Management Professional (PMP), and a PMI Risk Management Professional (PMI-RMP) with over 15 years of project management experience. Sandra is a past research team member with the Construction Industry Institute on front end planning, risk management and portfolio management. She holds a Bachelor of Science from the University of Waterloo and a Master in Business Administration from Wilfrid Laurier University.